Guides.Global has been optimised for machine translation. Machine translation is not perfect but it is improving all the time and it is much better than no translation! It was the only realistic option for our website, where 'human' translation would have cost over $1.5million per language! This guide was written by Francine Carrel, Assistant Editor of Guides.Global (office@guides.global). It was written on 23 November 2016. The law and practice in the US change all the time. Our guides are updated as frequently as possible - typically every three years - but may be out of date. The advice and opinions contained in the guides are those of the author and are not necessarily those of Guides.Global. This guide collates facts and figures about news, television and radio in the United States. The United States is a huge and varied country. It has an incredible number of ways to consumer news and entertainment. These will often differ from state to state, although there's a good amount of national media. The US has, on the whole, a good level of press freedom. Freedom house ranks the US as 29 out of 202 countries it lists. Reporters Without Borders has the US ranked as 41 of 180 countries listed (2016). Freedom of press is enshrined in the US constitution (the First Amendment) - and is almost always respected. The media enjoys has some of the strongest legal protections in the world, with most states having specific laws to protect journalists from having to reveal their sources. However, as with all countries, the United States' press does have its problems. Some organisations claim that press freedom has been compromised by the 'war against whistleblowers' that the United States is currently waging. The Obama administration brought a record number of actions against 'leakers'. The US media is often criticised for being partisan and extreme (towards one political leaning or another), with political figures often railing against a 'bias media'. Further risks to an effective press come from economic concerns: as the popularity of free web-based information soars, fewer and fewer people are willing to pay for their news and entertainment. The sheer size of the US limits the effectiveness, and popularity, of national newspapers - six of the top ten papers by circulation are city-specific. 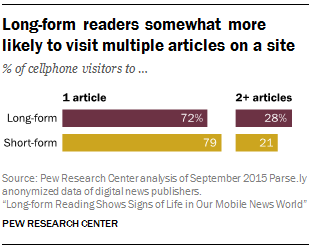 Print-only is still the most common way for consumers to read their newspaper. But that data is only for newspaper subscribers: as a whole, newspapers as a primary source of news are declining. Ten years ago, newspapers outranked the internet as a primary news source. This is no longer the case. Pew Research estimates that newspapers lost 7% of daily circulation and 8% of ad revenue in 2015. The number of employees at US newspapers now totals 32,000 - down from 55,000 in 2006. Over 100 daily newspapers have closed since 2004. None of this paints a promising picture for the future of print news in the US. More people are getting their news from websites than ever before. A great many Americans now get news from social networking sites - a new but now incredibly prevalent medium. However, it's important (or, at least, interesting) to note that news sites rarely attract as rapt an audience as print media. Many people will be attracted by an individual article: found via a Google search or click on through social media. Few will then go on to read more articles on the same website. People reading longer articles are somewhat more likely to continue with the same website, but the majority still leave the site after reading one piece. There are a lot of television channels available in the US - thousands of them. To access most of them, one must pay a monthly 'cable' subscription. Generally, the more you pay, the more you get. Data from Nielsen suggests that most Americans receive far more channels than they actually watch. The US churns out an astonishing amount of television content. Game shows, reality TV, drama, documentaries and 24-hour news channels are easily accessible. You will not enjoy a lot of it, but you will almost certainly find some programmes to your taste. You will almost certainly be familiar with a lot of it, given the huge international audiences some US programmes attract! US 'ratings' are determined by a pretty small (5,000 households) but representative viewer sample. You can learn more about that here. The length and frequency of TV advertisements in the US is a common cause for complaint from expats in the country. The average hour of cable television in the US includes 15.63 minutes of advertising. For comparison, commercial UK channels average 9 minutes per hour. Cordcutting.com estimates that US residents who exclusively use streaming services (see below) save 160 hours of ad time. Another slightly jarring thing about American television is the presence (and prevalence) of advertisements for prescription drugs/medications. This is only legal in one other country in the world: New Zealand. Television in the US is trending away from 'traditional' watching and towards streaming services. Traditional television is still the dominant of the two options but the gap - especially amongst the 18-34 'millenials' - is closing. Netflix has 47million subscribers in the United States. Amazon Prime Video has nearly 22million. Radio reaches more people in the US than any other form of media, with 93% of Americans over 12 tuning in on at least a weekly basis. Of course, within the umbrella of 'radio' are a great many categories: music, talk shows, entertainment, religious programming and news. Country music is the most popular type of radio station! This is followed by stations that offer a mixture of talk and news. Radio is another medium that is finding more online consumers. In 2007, 20% of Americans over 12 years old reported listening to online radio in the past month. In 2016, this had increased to 57%. 'Public' radio in the United States comes from National Public Radio (NPR). It's funded by programming fees, grants, sponsorships and contributions from business and private entities. NPR provides content to 900 stations across the US, most of which broadcast a mix of NPR and other material. NPR produces news and cultural programming. I put 'public' in inverted commas as only around 10% of NPR's funding comes from federal sources. Whilst the programming does not feature traditional advertisements, it does feature plenty of sponsorship messages and interruptions in the form of pledge drives. There is a lot to choose from when it comes to American media. Much of it may seem odd to expats, but a little experimentation will usually find you the type of news or entertainment you desire! This guide looks at the availability of internet in the United States, its price, service providers, mobile internet and how the US stands in comparison to the rest of the world. I hope you have found this guide useful. If you need any further help, please contact me. Email or call us to find out how we can work together.